Five people were killed in a fire originated from a gas line blast following a lightning strike in Golapganj Upazila in Sylhet early today. 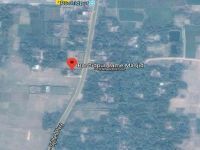 The incident occurred in the Club Bazar area of the Upazila’s Lakhanabanda Union around 3 am on Sunday, said Gopalganj Police OC Fazlul Huq Shibly. The dead have been identified as Shebu Begum, 25, Taslima Begum, 30, her son Tahmin, 2, Shebul Mia, 17 and Yahiya Uddin, 18. The bodies were sent to Sylhet MAG Osmani Medical College, the police official said. The fire broke out in a gas pipeline adjacent to a room at Lailumia colony in Lakkhanabanda Club Bazar area after lightning struck there in the morning, our Moulvibazar correspondent reports quoting AKM Fazlul Haque Shibli, officer-in-charge of Golapganj Police Station. 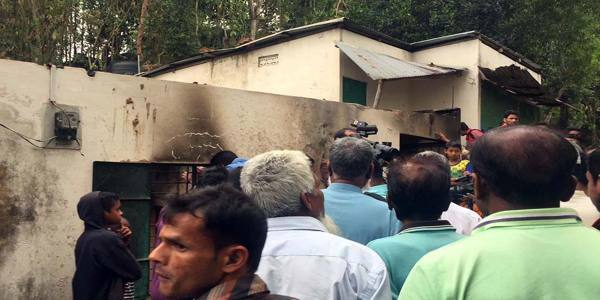 Fire service workers from Sylhet came and brought the blaze under control, but five died before the fire was put out. 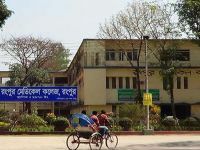 Taslima Begum’s husband Fazlu Mia, 40, was burned in the fire and taken to Sylhet’s Osmani Medical College Hospital for treatment.